It has been possible to use web fonts for a while in email but brands have really only just started to use them from the end of 2017. This technology provides a massive improvement in terms of the overall look and feel for most brands. The ability to use custom fonts right within the email is a huge step forward both for email designers and also for the companies trying to show their branding correctly. One major additional advantage of web fonts in email is of course the opportunity of being able to include much more content of the email in actual html text. This improves the accessibility of an email not to mention the deliverability and overall effectiveness of the email because now so much more content is visible without the images even needing to be enabled. New areas of content such as banners which before would have always had to have been made as an image now can be made with html text using a web font. “Dear Mary” at the top of an email is just not going to be sufficient anymore (nor has it been for a long time!). Marketers sending great emails, this year, will be relying on their data, intimate customer knowledge and profiling to send truly relevant content to their subscribers. Email segmentation is now an integral part of effective email marketing communications. Highly personalised emails that contain relevant content for the subscriber far outperform non-personalised emails. Purchase history is probably one of the key data points to consider when creating segmented content. Getting an email trying to sell you a TV just days after buying a TV from that company is something you often see people complaining about on social media. A problem so easily avoided if email segmentation is used. To continue on the theme of personalised email brands should be quick to capitalise on the rewards of a very active set of subscribers. Super personalised content is also the best and most reliable way for brands to rapidly increase the amount of marketing they can send to their customers. Customers who are actively engaging with the relevant marketing they are receiving are much more likely to enjoy receiving more of the same relevant emails. A fast-growing trend in Email Marketing are brands recognising who their most active subscribers are and increasing their email frequency to those subscribers. Some brands even manage daily emails to their most active subscribers. One of the best tools brands have for learning more about their customers email preferences is — you guessed it — an Email Preference centre. While these also have existed for a while, 2018 will really be the year they become essential rather than a fancy add-on to an existing email marketing set-up. Preference centres if built and designed correctly can also be used to occasionally send subscribers to to update their preferences and not solely used to catch unsubscribers. Maintaining a hold of a brands database through unsubscribes can be difficult now that is so easy to unsubscribe through apps. The best way to mitigate some of this loss in subscribers is with the use of an Email Preference centre. With the increased use of email segmentation and personalised content for subscribers managing all the potential thousands of variants can be incredibly difficult if not impossible for human email marketers. Email automation allows brands to send all sorts of emails to their customers simply through data feeds and selection triggers. Automated email workflows also provide an opportunity to segment customer data right from the initial sign up with a nursery or welcome programme. 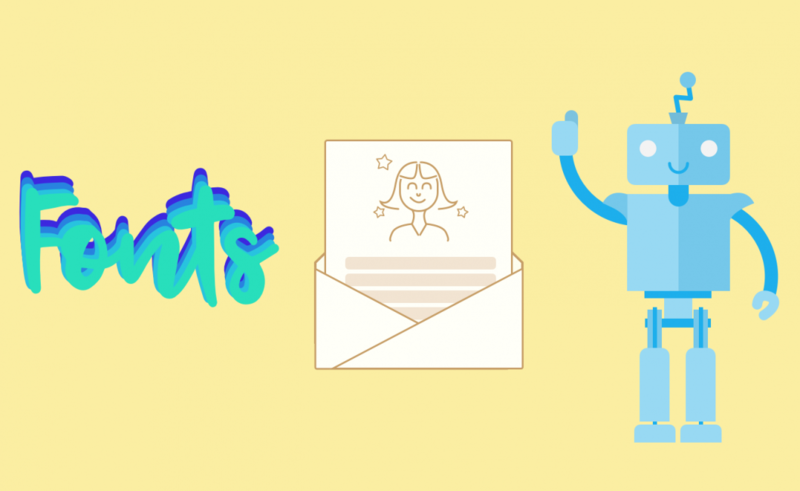 Email automation shouldn’t just stop there, Birthday emails, Back in Stock, Abandon Browse, Abandon Basket, Social Interaction, and Store Visit are just a few types of automated emails brands can send. The number of possible automated email programmes available to brands today are almost endless. If possible marketers should make use of automated email to further augment and increase their engagement with their customers. Sending people really relevant content that they actually want to receive has never been more important. As the email marketplace gets ever more crowded brands that really focus their efforts on beautifully designed email will stand out. New devices with high quality screens like the Pixel 2 and iPhone X will really showcase emails that have taken advantage of things like hi-res images and web fonts. Emails that make use of these features will look noticeably more refined and polished. These refinements can be further enhanced with the use of animated gifs, video or CSS animation, to make truly beautiful emails. Overall 2018 is going to be a highly competitive very tech-focused year for email marketers. Sending people really relevant content that they actually want to receive has never been more important.